We’re a young organisation that wants to be an indispensable resource to everyone in Ireland that’s interested in social enterprise, whether they’re studying in the area, or thinking about setting up a social enterprise or if they’re already managing or working in a social enterprise. We are working to make the social enterprise sector more visible than it currently is. And we point people to the relevant resources, supports and information they need. So what do we do? Here are some of the activities and services that we deliver – often with partner agencies. Events – we hold events where social enterprises can meet each other and share knowledge and ideas. Training – we share information on training and education opportunities from a range of sources. And we plan to organise training opportunities for social enterprises. Promotion – we provide a space where social enterprises can tell their stories and highlight their successes. Discussion – we want to encourage debate on issues of relevance to social enterprises. We feature blog posts from and about people in the social enterprise sector who want their voices heard and stories told. The same things that you want – Irish Social Enterprise Network can only be successful if we respond to what people want, so please get in touch! Social enterprises work best within a continuum of and in the support of other social enterprises. So by joining the directory your organisation can have the accessibility to put your passions and ideas in motion while being apart of a matrix of innovative thinking. The directory is not only useful for networking, learning, and expertise but also for the support that fosters brilliant solutions. We believe that by building this network of social enterprises, these new solutions can get the funding and support needed to grow and expand. 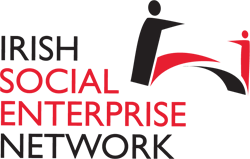 If you’re based in Northern Ireland, we’d like to encourage you to get in touch with our friends in Social Enterprise NI.